So my bum is bitten by the bike building bug again. This time a do-it-all cyclocross-tourer – basically a 1970’s touring bike with all the bells and whistles of the 20-teens. Genesis Croix De Fer in 931 Reynolds stainless tubing (drool). Off-road drop bars (Salsa woodchipper 2, or On one Midge) with a Rohloff shifter something like this. 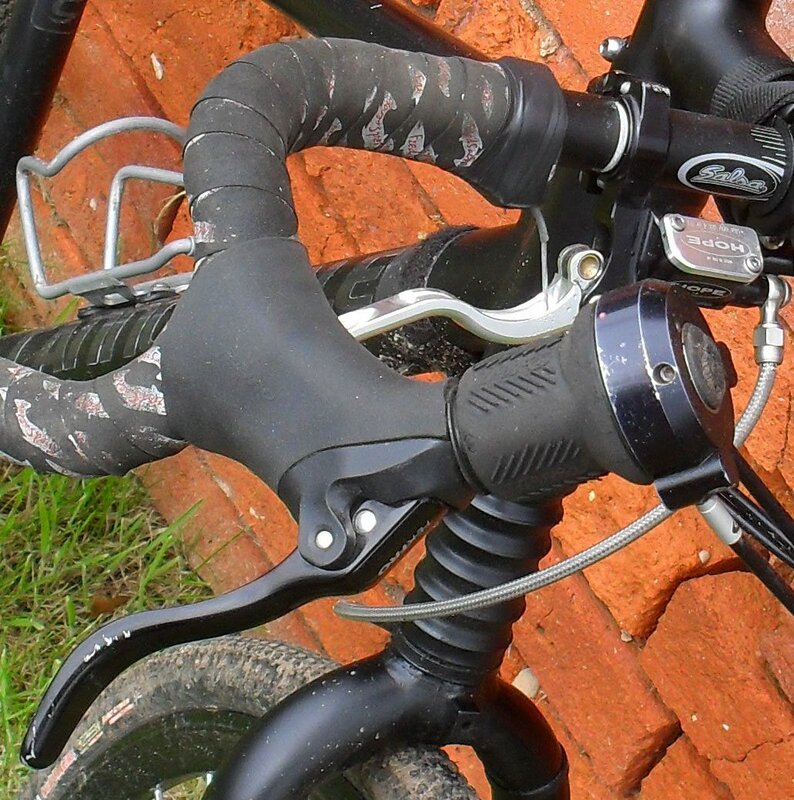 Cranks, whatever, probably some second hand Shimano 105. Hubs – I’d like to run some boutique uber hubs: Chris King or Peter White, but may settle on good old Deore. That’s pushing 5,000 buckeroos, but many weekend warriors part with their gear for a steal because their missus is busting their nuts over it (the psychology of that is really sad, seriously). Any bike-hackers out there who can give some advice on how to put that Rohloff on the brifter – let me know.